A recent analysis titled “On the future of Oromo and Ogaden armed groups” makes for interesting reading but mixes truth with factual errors in a manner indicating an over reliance on open source information. Whether those factual errors are deliberate or a result of limited access to current and reliable intelligence on the part of the author is not clear. An example of such a factual error is the statement that “Mohamed Omar Osman became ONLF Chairman in 1991”, in fact Chairman Osman was not even a member of the ONLF in 1991 and became Chairman seven years later in 1998. Another factual error is a claim by the author that “In 1998, a major ONLF faction merged with another Somali political group and formed the so-called Somali People’s Democratic Party (SPDP) that aligned itself with the EPRDF”, in fact the SPDP was formed by the ruling Tigray Peoples Liberation Front (TPLF) for the purposes of creating an ethnic Somali organization allied to the regime and not out of any merger of organizations or independent groups. The so-called SPDP itself would never claim it was founded be a merger between an ONLF faction and other groups. The author continues to go on about a so-called break away group within the current ONLF, an impression left in his mind by a visit to Washington by two individuals claiming to be leaders of a so-called break away faction. Prudent analysis would beg the question, where are the troops of this break away faction? Does simply saying you are a faction make you so or is there some criteria associated with designating a group of individuals a faction? is there no threshold of support required to designate a group a faction? A supposed seasoned diplomats should be able to distinquish the difference between a rival faction and two attention seeking individuals but it has been a while since the author was a practicing diplomat so for skills to have eroded is only human. I all honesty, it is easier for the author to claim there is a break away faction simply because no one else is making the same claim among informed analysts of the region and so it would set the author apart from the flock giving him the recognition he seeks among Horn of Africa watchers. After all, making a unique claim, even if it is not backed by any form of credible evidence, does manage to get you attention. Nevertheless those who are not soley reliant on open source information and are in fact informed about events on the ground know that the ONLF has unity of command which reaches into all structures of the organization. The author also seems to hint at a relationship between the ONLF and Islamist groups in Somalia. This has long been a over utilized political card employed by Ethiopia to gain favor from Western nations and has no basis in reality. The simple fact of the matter is that religious organizations do not hide the fact that they are religious entities because they believe they answer to a higher authority than the media, diplomats or analysts of the region. 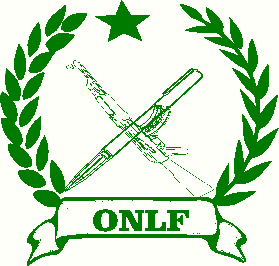 The ONLF is and has always been a nationalist organization motivated by nationalists sentiments. While it may be difficult for the author to swallow, such organizations do still exist in Africa. While factual errors persist throughout the document (the focus of this commentary has only been on the ONLF section) there are nevertheless, some good recommendations made by the author. As it relates to a potential peaceful settlement to the longstanding conflict in Ogaden, the author points out that “The United States, should do more to encourage these discussions and help identify a time and place where the talks can take place.” An excellent recommendation indeed and probably the most constructive element of the paper. One can not help but wonder if that recommendation was cited from a well thought out briefing paper or if the author came up with it all on his own. Analysts often rely on what is already in print often resulting in the recycling of factual errors simply because they can be cited. A more comprehensive and informed analysis would start out with the assumption that all that can be cited is not always accurate and a common practice quality research would be to inquire with those associated with the object of your analysis. In fact, the author has not bothered to contact or interview the ONLF in preparing his paper. Such a step would be part of any credible research methodology in preparing a briefing paper even if your opinion differs from the object of your research. While it is clear that the author will continue to insert himself into all realms of political discourse on the Horn, he would best served if he held his paper to the same standard he holds his students papers to…at least until the author attains tenure.